The Women’s Committee of the National Council of Resistance of Iran strongly condemns savage brutalizing of a young woman in Tehran by agents of the so-called Guidance Patrol (Gasht-e Ershad) under the pretext of improper veiling. 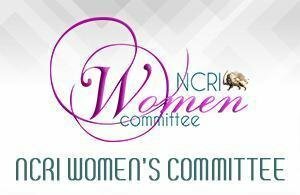 The NCRI Women’s Committee urges all international organizations defending human rights and women’s rights to condemn such despicable and inhuman action on the part of the regime’s suppressive forces. Wednesday, April 18, 2018, the suppressive forces of the Guidance Patrol attacked and badly beat up a young woman until she went unconscious. They did so under the pretext of her being improperly veiled, despite appeals by her friends who said she suffered from a heart condition. Clamping down on women under the pretext of improper veiling is a means for stepping up suppression throughout the society. This is what Iran’s freedom-loving women have been bravely resisting against over four decades of the clerical regime’s rule. Mrs. Maryam Rajavi, President-elect of the National Council of Resistance of Iran, said the brutality and savagery committed against a young ailing woman once again revealed the ugly, inhuman and anti-Islamic visage of the misogynous mullahs ruling Iran. She called on Iran’s courageous youths to counter and confront such disrespect and violation of Iranian women’s dignity by the clerical regime’s revolutionary guards and mercenaries and do not allow their sisters to be insulted, suppressed and tortured.